MidHudson Regional Hospital, a member of the Westchester Medical Center Health Network (WMCHealth), is having its annual Girls’ Night Out at the Poughkeepsie Grand Hotel this year. Raising funds for the WMCHealth Heart and Vascular Institute, Girls’ Night Out includes dinner, raffles, a comedian, an eclectic shopping suite and mini-makeovers. A physician from MidHudson Regional Hospital also will give valuable heart-health advice. To learn more, visit MidHudsonRegional.org/gno. Drop by your local IHOP, dig into one free short stack of flapjacks, and consider making a donation to Children’s Miracle Network Hospitals. Funds support Maria Fareri Children’s Hospital, a proud member of both the Westchester Medical Center Health Network (WMCHealth) and the Children’s Miracle Network Hospitals. To learn more, visit MariaFareriChildrens.org/npd. This popular soiree has a very important purpose: to support the HealthAlliance Foundation and its mission of providing top-notch equipment, technology, services and staff training for HealthAlliance Hospital, a member of the Westchester Medical Center Health Network (WMCHealth). The ball, held at Diamond Mills Hotel and Tavern in Saugerties, typically draws hundreds of attendees, all eager to show their appreciation for the hospital and toast the event’s honorees. Join the fun by purchasing a ticket at HAHV.org/tulipball. 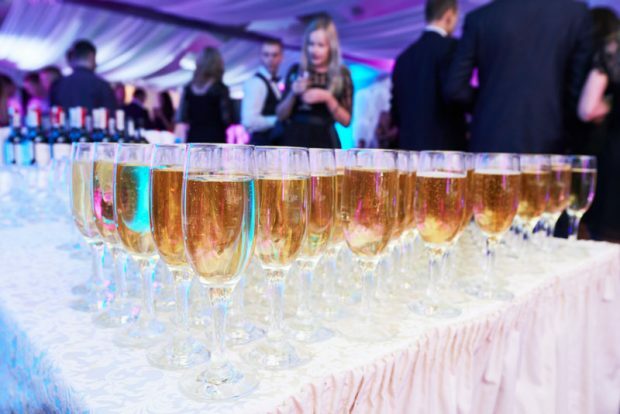 Dance the night away while taking steps to improve local healthcare at this popular annual fundraiser for Good Samaritan Hospital, a member of the Westchester Medical Center Health Network (WMCHealth). Held at the Edgewood Country Club in River Vale, NJ, it’s an uplifting evening brimming with community pride. For information, visit BSCHSF.org/springball. Enjoy gourmet food, drinks, dancing, a silent auction and live entertainment at this exciting evening. Held at the Roundhouse at Beacon Falls in Beacon, the dinner raises funds for MidHudson Regional Hospital, a member of the Westchester Medical Center Health Network (WMCHealth), while raising awareness about its incredible staffers and volunteers. For information, call 914.493.5787 or visit MidHudsonRegional.org/dinneratthefalls. St. Anthony Community Hospital, a member of the Westchester Medical Center Health Network (WMCHealth), will host this annual event at the Red Tail Lodge in Vernon, NJ. The evening includes dinner, raffles, mini-makeovers, a shopping suite and more. For more information about the event, visit BSCHSF.org/sachgno. Hospital leadership, board members, physicians, business leaders and community supporters will gather at Caramoor Center for Music and the Arts in Katonah for an elegant evening of fine dining and dancing in support of the mission of the Westchester Medical Center Health Network (WMCHealth). To learn more, visit WestchesterMedicalCenter.com/gala. What Are the Guidelines for Pre-operative Fasting?